General Electric, founded in 1892 by Thomas Edison and others, is a bedrock American company. More importantly, “GE” has many home-based jobs on its website. GE has also hired work from home call center agents, and more on that in a moment. Current searches on GE’s Careers page using keywords “remote” and “home office” (without quotes) and specifying “United States” as the country turns up 150+ jobs, with some entry level and many for experienced job seekers. Roles include Project Manager, Customer Support Engineer, Customer Application Engineer, Software Developer and many more. Until 2014, GE also hired work from home Customer Service Representatives for its GE Capital division. GE Capital then became a separate company, Synchrony Financial. Those jobs are available at Synchrony for Arizona applicants in the Phoenix area. To see them, click here. 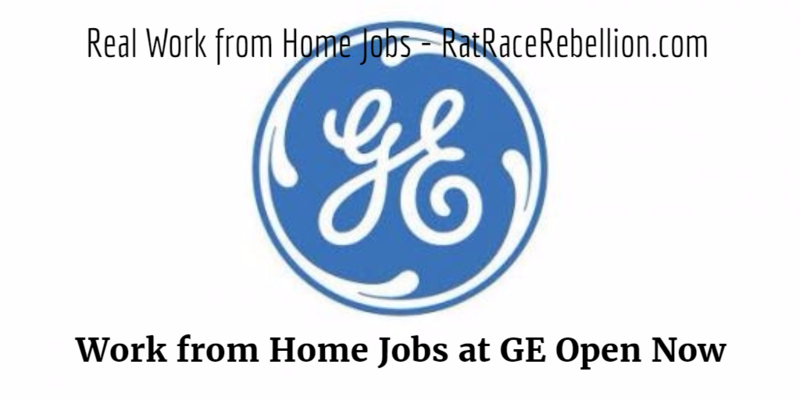 This entry was posted in Work at Home Jobs and tagged GE, General Electric. Bookmark the permalink.